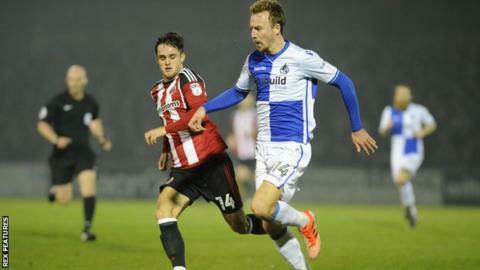 Sheffield United defender Joe Riley could be out for the rest of the season after dislocating his shoulder in a "freak accident" in training. The 20-year-old full-back, who is on loan from Manchester United, has featured twice for the League One club. Blades manager Chris Wilder said Riley has returned to United for a scan. "It was a bit of a freak accident in training, something out of nothing. He stumbled and dislocated his shoulder," Wilder told BBC Radio Sheffield. "It is desperately back luck for Joe and ourselves. It's not looking good for him in the short term. "He has gone for a scan back at Manchester United. Those results will determine if he's back with us or if that's his season done."